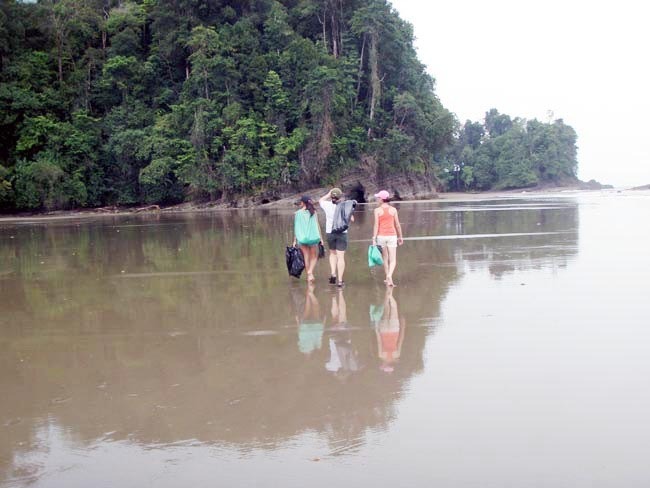 I loved my stay at Marino Ballena, beautiful beaches, warm climate, and wonderful people made the 2 weeks so very memorable! 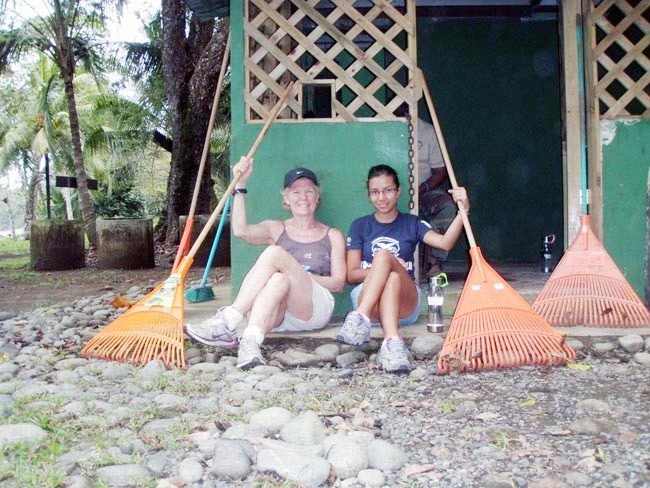 As I was the only English speaking volunteer, my Spanish improved markedly!. 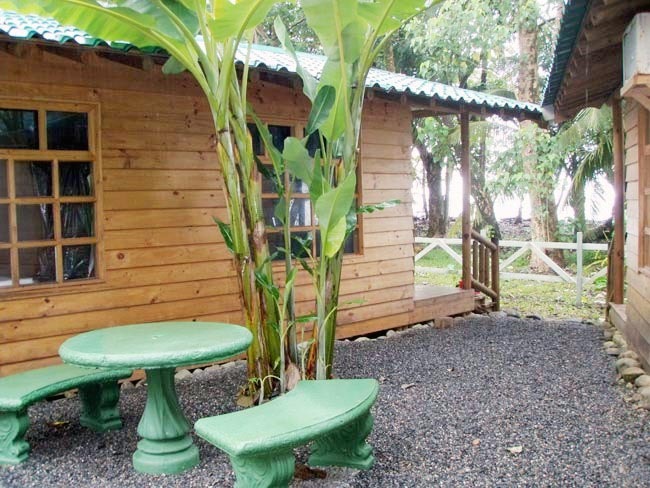 Marino Ballena is quiet in November as this is not yet the tourist season. 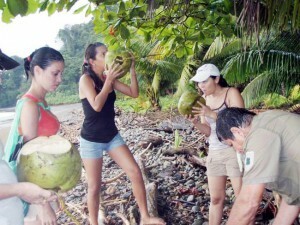 Our work involved walking pristine, isolated beaches picking up micro-trash, and tossing palm fronds and coconuts out of the camping area into a perimeter pile. The work was not strenuous....in fact, I wish there was more work that I could have done. 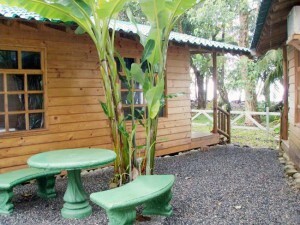 I loved my stay at Marino Ballena. Beautiful beaches, warm climate, and wonderful people made the 2 weeks so very memorable! Although a bit tricky to find via bus (be sure to find out which of the 4 beaches to arrive at) I was thrilled with the layout of the park and our cabin’s proximity to the beach (200 yds). 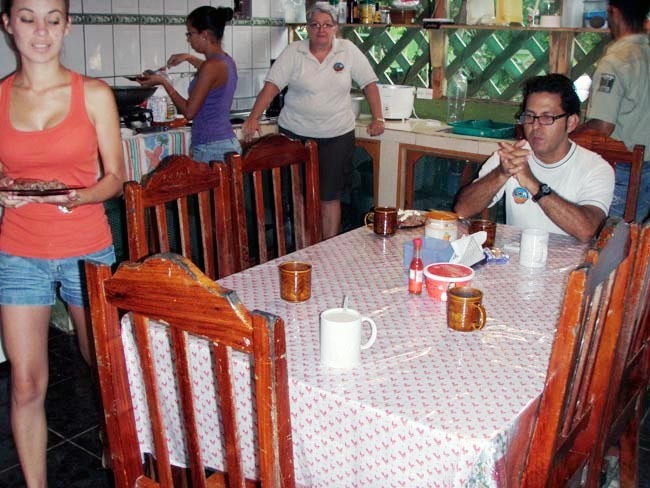 I shared the cabin with 4 other females; ranger, t cook, and two Costa Rican High School volunteers. Be sure to bring your own bedding. Marino Ballena is quiet in November as this is not yet the tourist season. Our work involved walking pristine, isolated beaches picking up micro-trash, and tossing palm fronds and coconuts out of the camping area into a perimeter pile. 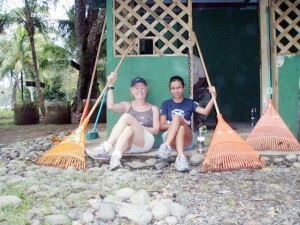 The work was not strenuous….in fact, I wish there was more work that I could have done. During tourist season, there are many campers at the park and lots of work to do. No one spoke more than a few words of English, so understanding Spanish is important. 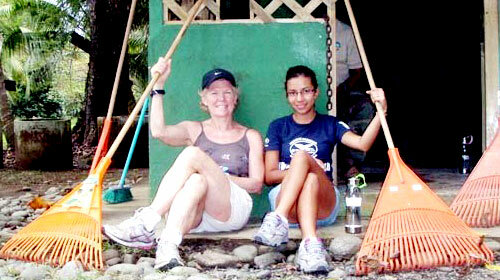 As I was the only English speaking volunteer, my Spanish improved markedly. For me, the weather was perfect with a bit of rain each afternoon, and we rarely worked in the blazing sun because it was overcast most days. Marino Ballena is remote, so you pretty much stay put on work days. On my day off I caught the local bus to one of the nature reserves nearby. Seeing toucans and hearing howler monkeys was a daily occurrence…..what a thrill…..And of course, there was the crocodile in the surf outside of the river outlet. I was concerned about appropriate clothing and would advise shorts and short sleeve/sleeveless tops. I alternated between my running shoes and hiking sandals for footwear. My heavy raingear was too hot, so I just threw on a plastic poncho when I needed to. I felt safe at all times….and drank the water too. The Park personnel are like one big family and are kind and warm. I plan to return for a month next time!